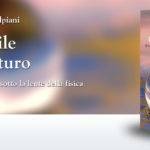 New book, authored by Luca Gammaitoni and Angelo Vulpiani, has been released today. 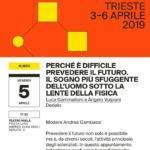 The book, in Italian, is entitled Perché è difficile prevedere il futuro (Why is it difficult to predict the future) and deals with the many attempts mankind has put in place to predict the future. It starts with discussing easy and successful predictions, like in astronomy and tides, and goes on with less easy but still doable predictions, like for weather. Finally it deals with very hard to perform predictions like in earthquakes and stock markets. It explain, by the point of view of Physics, why some predictions are harder than others and how to operate in orders to do well in this field. Finally the book deals with randomness and its role in nature, both in classical and in quantum theories. The book is available at the bookstores, starting April 16th.